Barry Alston meets up with a Welsh Border sheep farming family totally dedicated to genetic recording. Meticulously recording genetics for 30 years on a hill farm 1,200 feet up in the Brecon Beacons National Park has helped produce a ‘designer’ range of rams capable of tackling a variety of flock shortcomings. Whether it is a problem with feet, milkiness, worm tolerance, hardiness, growth rates, vigour or meat yield which needs improvement, one Mid Wales family reckons to have a possible solution, alongside the widely recognised maternal merits of the New Zealand Romney. To some in the mid-1980s, it was hardly seen as the breed of sheep to keep in the Black Mountains between Breconshire and Herefordshire, but the pioneering work of Richard and Penny Chantler has proved them wrong. What has been achieved is the result of a vision and ambition to develop a low input, low maintenance management approach based on similar enterprises experienced during travels in New Zealand. Despite somewhat harsh conditions, today’s 600-ewe flock is consistently achieving a weaning percentage of more than 165 per cent, while being long living and easy lambing outdoors, and showing a high degree of worm resistance. Back in 1983, Richard was one of the pioneers of pregnancy scanning ewes in conjunction with Wye College and Edinburgh University and he became involved in the development of equipment and techniques while working as a shepherd in Kent. Within three years Richard had bought his own scanning equipment, set up his own business, travelled the UK scanning flocks having spent several months scanning in New Zealand, fast becoming recognised as one of the world’s leading authorities on scanning. His interest in Romneys started in the late 1970s when he was employed as the head shepherd at Wye College for a development group working to improve the prolificacy of the breed. This research found the New Zealand genetics acquired in the study achieved lambing rates of 180 per cent in contrast to the 130 per cent rate being achieved by their British counterparts. The breed also outperformed in meat yield and feed efficiency qualities. Recognising the Romney’s genetic superiority and the opportunity to develop an efficient, low maintenance flock, Richard snapped up the New Zealand stock at the end of the trial. Then in 1986, having been chosen as a Nuffield Scholar, he visited New Zealand and Australia to observe Romney breeding systems first-hand and select ram genetics for his newly acquired flock. What impressed him most was the standard of flock management and the way they were selecting for improvement by identifying superior ewes in elite breeding groups. 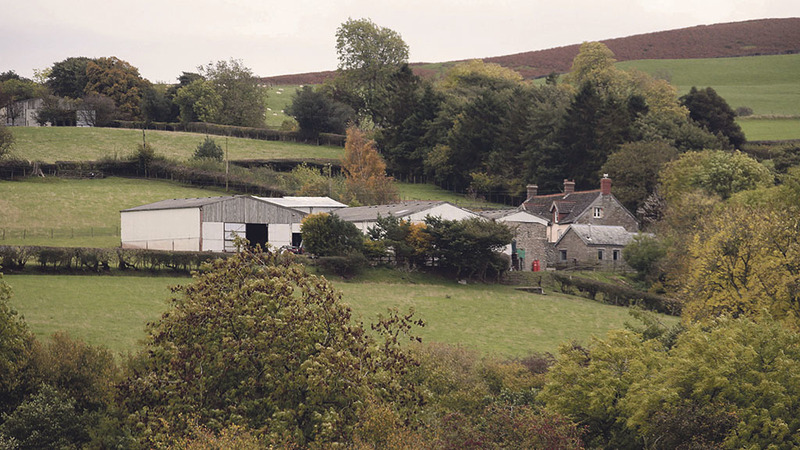 He set about adopting the same techniques with his flock and, 10 years later, he and Penny bought the 29-hectare (72-acre) Hill Farm, Llanigon, near Hay-on-Wye, Powys. Aiming to intensify their genetic breeding work, they moved lock, stock and barrel to Wales and took on the High Country name. Sadly, Richard died suddenly in 2011 while in New Zealand on a scanning trip and, undeterred, Penny decided to carry on farming on her own, finishing as runner-up for the 2012 NFU Cymru Woman Farmer of the Year, while also continuing with her work as a sculptor. The situation has eased somewhat now her sons, Will and Sam, have joined the business. A graduate of Edinburgh University and having recently completed a research project on behalf of the Texel Sheep Society, Will is now working full-time on-farm. Sam works for a company which carries out off-shore oil field surveys, spending long periods of time at sea around the world, although he returns home during the farm’s peak periods. Will says: “Having jobs off-farm allows us to have our own incomes without having to draw money from the business, allowing it to grow at a faster rate by reinvesting money into the farm. “This is all part of our goal to create a sustainable business which can support the three of us and continue to offer high quality genetics. The past 18 months have seen the farm going from strength to strength with a number of big decisions having been taken. The area being farmed has increased to 121ha (300 acres) through securing two farm business tenancies locally, and sheep numbers have increased from 300 ewes to about 600, with scope to build up to 1,000 on the current acreage. The current stud flock of 340 ewes is being increased to 400 alongside a ‘commercial’ flock which consists of ewes not meeting the high stud flock standards. The flow of genetics is also continuing with two separate sets of imports cherry-picked from some of New Zealand’s top flocks and records backed by the country’s national recording scheme. 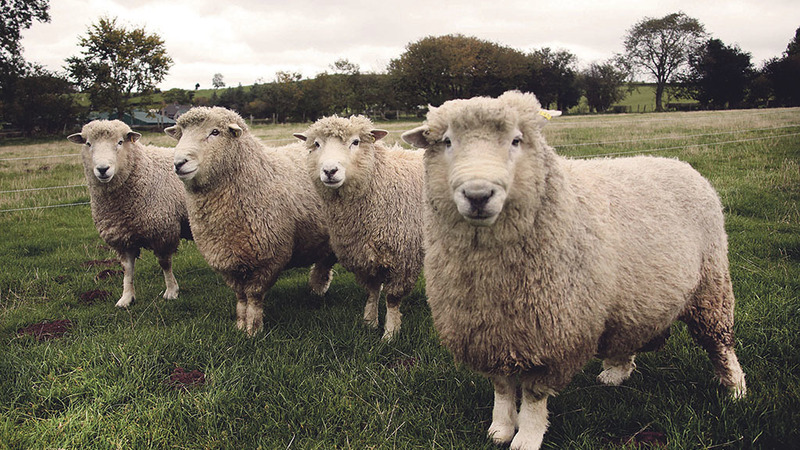 Every ewe in the elite flock has a production record, with all sheep being electronically chipped and DNA recorded, allowing traceability of the sire and dam parentage stretching over previous generations. The objective is to select a compact type of ewe with a good structure, a large rumen, good maternal instincts, survivability and longevity. Will says: “The birth rank and scanning percentage for every ewe is recorded, with DNA-scan-tracing enabling us to ascertain at weaning which ewe produced and/or reared which lamb, thus creating a survivability record. “All lambs are weighed at 100 days to measure ewe milking performance, then weighed again at 200 days to monitor growth rates and then assigned individual worm counts at weaning when a dung sample is taken. “This data is collated to provide each lamb with an Estimated Breeding Value [EBV], giving a ranking for each trait which gives an overall ranking when added together. “The EBVs of the sire and dam are automatically included in each lamb’s figures. 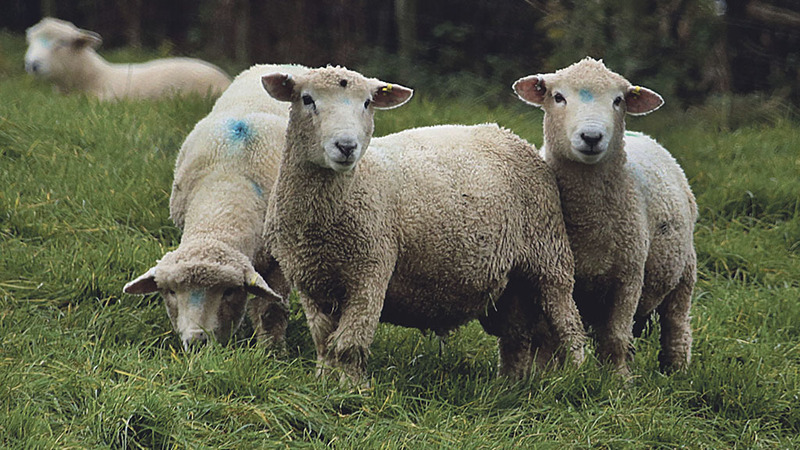 “In essence it means the ewe must have a high weaning percentage, be resistant to worms based on individual faecal counts, produce lambs with high growth rates and high meat yields with optimum back fat and muscle depth measurements on a grass system. “Above all, it means each of our rams has a unique production record which shows every one has been bred to have high worm resistance, longevity, good feet and legs, no foot rot problems and a good wool yield with an average of 4.5kg per ewe. “All our rams are also capable of serving well in excess of 100 ewes, with the record for one ram being 200 ewes pregnant in the first cycle and reducing the total number of rams necessary per flock. There is a strict culling policy for any ewe or ram not falling in the required genetic criteria, and lambs not considered suitable for breeding are finished and sold deadweight, mostly grading as R3Ls at 40kg liveweight. From mid-February, ewes graze a small area of swedes supplemented with big baled grass silage until the third week of March when they are moved back to grass for lambing outdoors in April. No concentrates are fed and the farm’s machinery consists of two tractors and a mower as there is no need to buy straw for bedding and no muck to spread. While there are no eligible official breed society sales, the reputation of High Country stock is such all rams are sold direct from the farm and, while some females have also been sold in the past, this is now on hold while the flock expands. THIRTY years of meticulous genetic recording on a hill farm 1,200 feet up in the Brecon Beacons National Park has helped produce a “designer” range of rams capable of tackling a variety of flock shortcomings. Three years later, Richard is recognised as one of the world’s leading authorities on scanning he bought the equipment, set up his own business, travelled around the UK scanning flocks and even spent several months each year scanning in New Zealand. Will says: “The birth rank and scanning percentage for every ewe is recorded, with DNA-scan-tracing enabling us to ascertain at weaning which lamb was born and reared by which ewe, thus creating a survivability record.